Summer Camp in 2014 will be held from Sunday 17th August to Sunday 24th August 2014 with hospitality for our Dutch visitors in Ilkley from Sunday 24th August to Friday 29th August 2014. 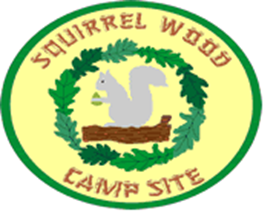 This year the camp will be held at Squirrel Wood Scout Camp near Doncaster. If you pay any of the camp instalments by cheque, please make the cheque payable to Ben Rhydding Scout & Guide Group.